The recent G8 summit held in the UK saw Prime Minister David Cameron directly address the importance of industry in Africa. Too many developing countries are held back by corruption – and this can be reinforced or even encouraged by poor business practice and a lack of transparency from those that trade with them." This is an encouraging signal as it clearly emphasises a business-led development strategy. It is particularly worthy as it comes from the Prime Minister of Britain, traditionally an aid focused country. 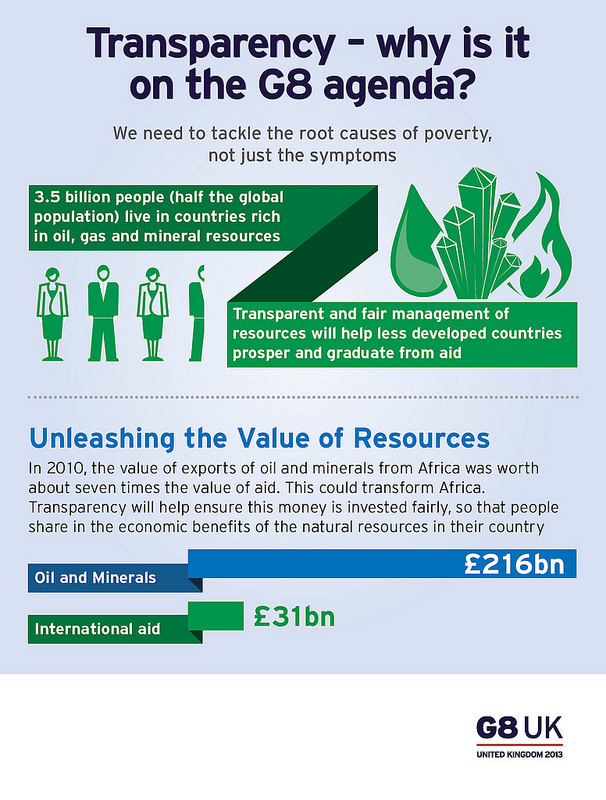 We urge other G8 members to take up this new call for investment and partnership, not just handouts.